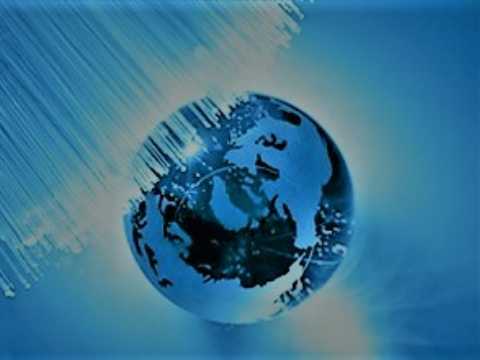 Many telecom professionals anticipated that copper cable would eventually be replaced by the fiber optic cable owing to its poor performance in the higher-bandwidth application. 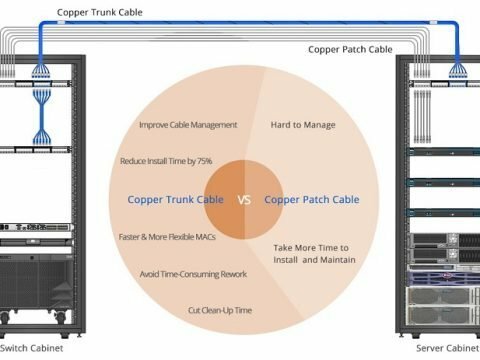 However, copper cables like cat6/cat6a cable that can support up to 10Gbqs have proven themselves and been widely deployed in the home or office buildings. But for the copper cable, there exists the debate about unshielded twisted pair (UTP) vs. shielded twisted pair (STP). Thus this article aims to provide detailed information about UTP and STP cables to help users make an informed decision. We all know that copper cable suffers from the higher signal loss than fiber optic cable and can be easily interfered by the nearby powers or generator. Alien crosstalk is the performance parameter in copper cables, especially the UTP cables. The following image demonstrates different reactions of the UTP and STP cables to the ANEXT. So what is the Alien crosstalk? Alien Crosstalk (ANEXT) is crosstalk that occurs between adjacent cables and connecting hardware. Alien crosstalk in the high-speed application is far severer than in lower-bandwidth infrastructure. It might not be a problem at the lower frequencies of cat 5e and cat 6a cables, but the limiting noise source of the cat 6a systems. In UTP copper cabling, the alien crosstalk will increase when adjacent cables are close proximity, which is indeed a nightmare to users. Therefore, it is typically recommended to let cat6a cable lay loosely in pathway instead of tight, twisted bundles. People usually have the misconception that if they use STP cables, then alien crosstalk would not be a problem. However, if the shield is not terminated correctly even a shielded system can fall foul of alien crosstalk. Twisted pair cables are widely used in transmitting information, especially across great distances. The twist in the wire cancels out any magnetic interference that may develop in the wiring. There are two common types of twisted pair cabling, STP and UTP. Unshielded twisted pair cable has four pairs of wires inside the jacket. Each pair is twisted with a different number of twists per inch to help eliminate interference from adjacent pairs and other electrical devices. Unshielded twisted-pair cable does not rely on physical shielding to block interference. 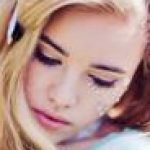 It relies instead on balancing and filtering techniques using media filters, baluns or both. Noise is induced equally on two conductors and is canceled out at the receiver. With properly designed, manufactured and installed UTP cable, the network is easier to maintain than one in an STP cable plant, with its shielding continuity and grounding issues. UTP cables can be found in different categories, for instance, cat 5 UTP for specifications to 100 MHz and cat 6a UTP cables for specifications to 500 MHZ. Best buy Ethernet cable you can afford, the smallest business would purchase Cat 5e or Cat 6 cables. Shielded twisted pair cable contains a hidden metal coating that protects wires from radio and electromagnetic interference. How effective the shielding depends on the material used for the shield, its thickness and frequency, the type of electromagnetic noise field, the distance from the noise source to the shield, any shield discontinuity and the grounding practices. Also, crosstalk and signal noise can increase if the effects of the shield are not compensated for. When people install and maintain them properly, STP cables greatly reduce crosstalk. This enhances dependability and boosts data transmission speeds in buildings that contain microwave equipment, HVAC systems or radio transmitters. There are many acronyms used on the market to describe shielded cables, from STP to F/FTP; while many are often used synonymously, nearly all of them have different meanings. This blog provides basic information about each style, as defined by ISO/IEC 11801:200, to clear up the confusion. An overall braid screen (S) with unscreened twisted pairs (UTP). This is occasionally referred to as an STP cable, but beware: There are other shielded cables among this list that may also claim this term. To be sure, always check to see whether your cable will have any kind of overall barrier and whether the individual pairs have their own shield. Both an overall braid screen (S) and foil shield (F) with unscreened twisted pairs (UTP). This cable is also occasionally referred to as an STP cable. Cables with an overall braided screen are very effective at protecting EMI from entering or exiting the cable, but heavier, thicker and more difficult to install than its UTP counterpart. An overall braid screen (S) with foil screened twisted pairs (FTP). The ‘shield’ underneath the jacket is a braid, and each individual pair is surrounded by its own foil barrier. The purpose of the additional foil on individual pairs is to limit the amount of crosstalk between them. STP cables are shielded, while UTP cables are unshielded. 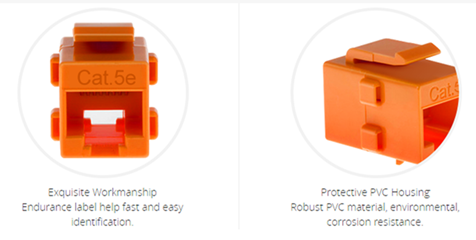 STP cables are more immune to interference and noise than UTP cables. 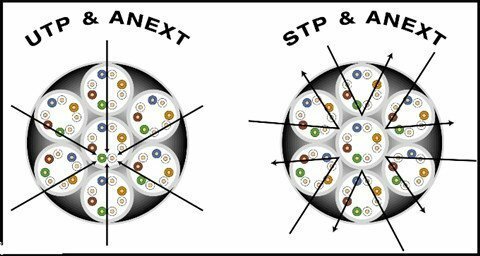 STP cables are better at maximizing bandwidth compared to UTP cables. STP cable cost more per meter compared to UTP cables. STP cables are heavier per meter compared to UTP cables. UTP cables are more prevalent in SOHO networks while STP is used in more high-end applications. A key factor in this decision is an analysis of how prevalent EMI will be in the installation environment. EMI is commonly caused by nearby motors, generators, air conditioners, and even office mainstays such as fluorescent lights and printers. EMI can cause crosstalk between circuits, resulting in degradation of data, increased errors and slower transmission rates. While even UTP cables reduce some EMI, shielded STP cables more effectively block interference. STP cables are ideal for high-speed networks such as data centers where 10GBase-T networks are used because 10G Ethernet is significantly more sensitive to EMI. Shielded cables also come in handy when installers must run wires next to fluorescent lights, microwave ovens or powerful motors. STP cables are also used in outdoor environments where the cables are exposed to the elements and man-made structures and equipment that may introduce additional interference. It also stops criminals from using jammers to interrupt communications between cameras and indoor monitors or recording equipment. However, people use UTP cables in the vast majority of homes, offices, and even in large scale businesses due to its lower cost. Unshielded phone and network wiring perform well in most buildings. If you don’t have major concerns about interference, it’s wise to avoid the cost and complexity of STP wiring. Note that shielded cabling is more expensive than unshielded cabling and more difficult to install; it’s stiffer, making it less flexible. The cable also has a larger diameter, taking up more space in conduit. UTP, on the other hand, actually provides faster transmissions in the absence of EMI. It’s less expensive to purchase, easier to install and has been the standard for many years, so it’s already in place in most existing installations. It is really doesn’t matter whether you use STP or UTP cables, make sure to install high-quality cabling. High-quality cabling will get you out of the trouble, reducing long-term replacement and labor costs.